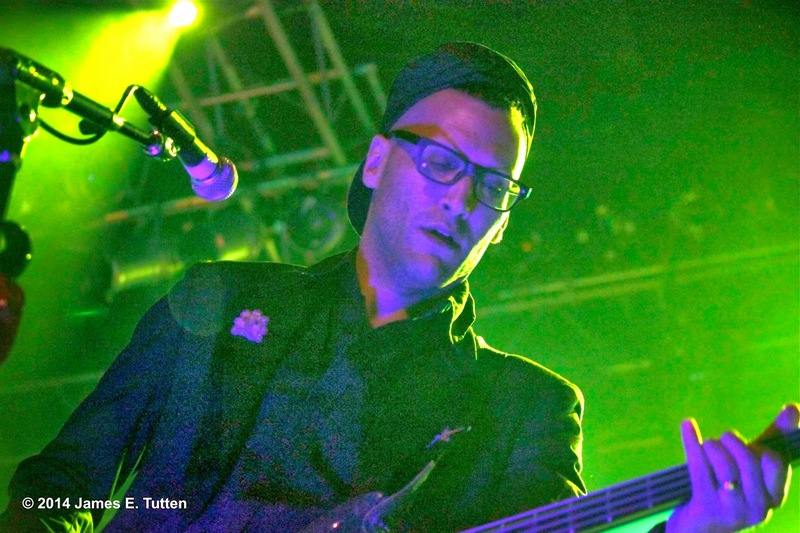 ORLANDO, Fla. — Experimental rock group Stolen Babies are sharing their fantastical sound with heavy metal lovers on their current nationwide tour with Pop Evil and Stone Sour. Originally the group planned on working on music for their next album to follow “Naught,” released in 2012. Frontman for Stone Sour, Corey Taylor, saw them perform in Los Angeles a few years earlier, and gave word to their management that they were invited to join them and Pop Evil on their current tour that runs till mid-February. 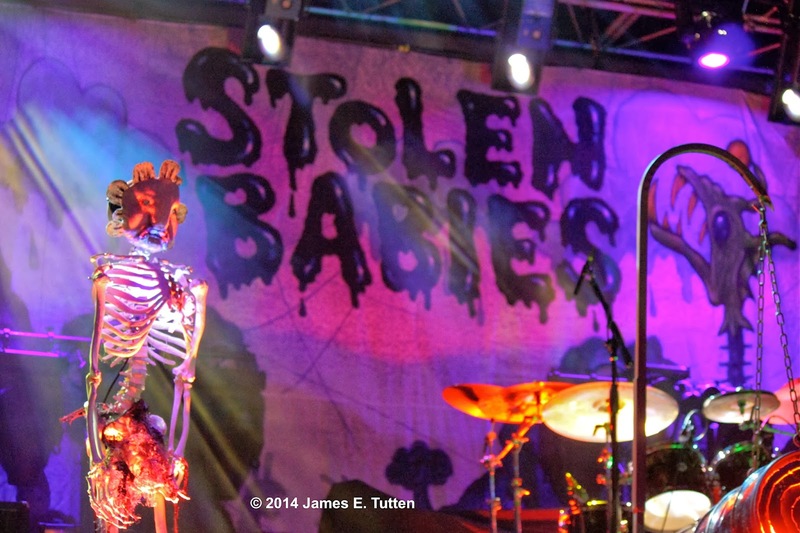 It’s difficult to musically compare Stolen Babies to the other groups that they tour with. They can all be classified as rock, but with most groups you know what to expect because they fit into a nice pre-packaged mold. Stolen Babies strive to be unpredictable as they embrace multiple music genres and cross several artistic boundaries. Their hauntingly dark song “Second Sleep” started off their set with the unique sound of a twisted metal fantasy. The faster and much angrier “Civil Disguise,” that doesn’t skip a beat with its rage against the system message, followed their opening number. Most of the songs they played were off their latest album, with only “Filistata” and “Tall Tales” from their first album, “There Be Squabbles Ahead,” performed on opening night. 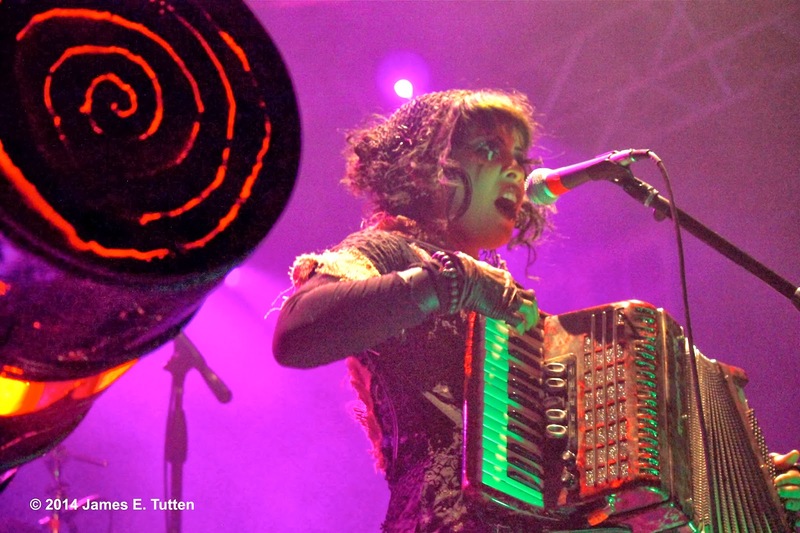 Lead singer and accordionist Dominique Lenore Persi was riveting while in action on stage. 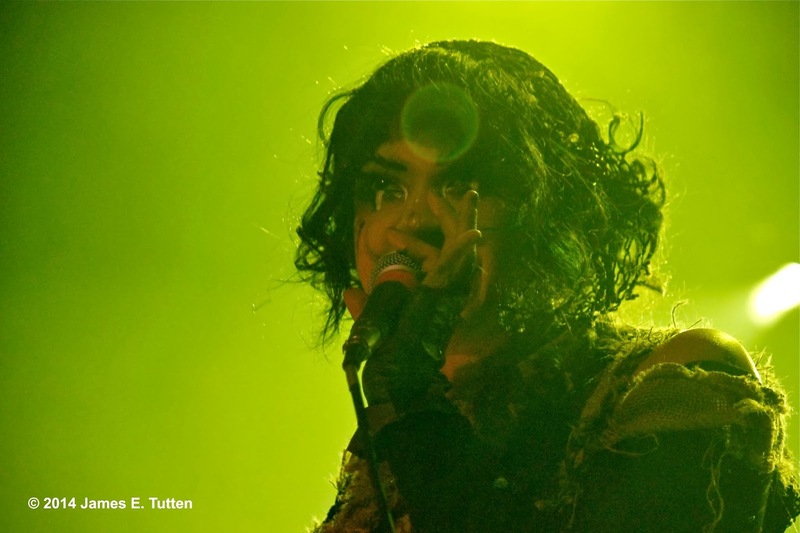 She transforms during her performance into a gothic girl-power persona, complete with bewitching movements and dynamic vocals. She often changes from singing with a slightly trembling operatic style, to raging with a powerful low scream filled with angst and pain. Rounding out this three-piece group are twin brothers Gil and Rani Sharone, who use their twin connection to play music perfectly with each other through some kind of mysterious musical telepathy. Gil is a talented percussionist who isn’t afraid to exercise the backbeat of any rhythm, and also frequently changes his style with ease to fit the ever-shifting sound of the group. Rani is also diversely talented as he switches from bass to guitar between songs as needed, and has a great on-stage energy when their music kicks into overdrive. Other members have come and gone since the group formed in 2002, but the group made it clear that this current lineup has always represented the core of Stolen Babies. There have been some challenges to this streamlined configuration, with tweaks being made to see what songs work best live. This three-piece style was debuted during a show in Oakland, California at The New Parish venue back on July 7, 2013. “It was probably the most horrifying artistic thing I’ve ever done,” said Persi talking about their show at The New Parish. “We’re just going with it, because if you're not putting yourself out there and making a fool out of yourself and moving forward, you just get stagnant.” The reaction from fans and their peers has been unanimously positive, with many stating the group has never sounded as good as they do now. 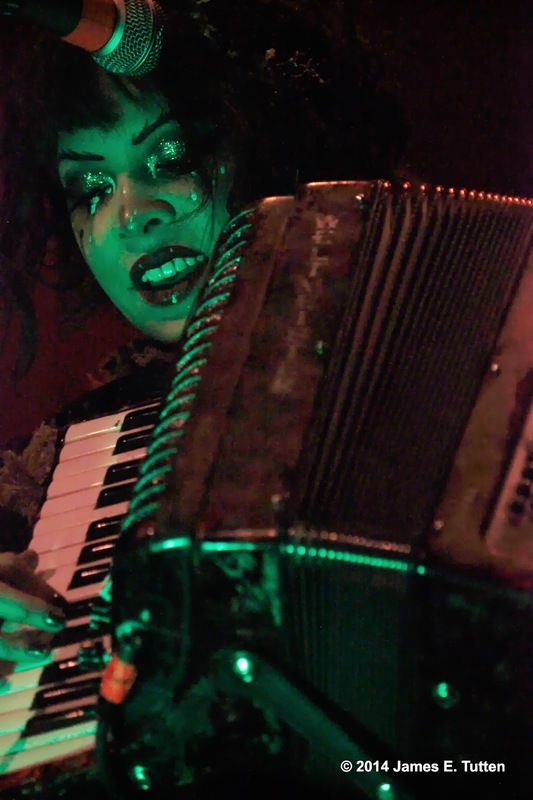 They have also entertained the idea of picking up a multi-instrumentalist to join them in the future, but are currently filling out the empty side of the stage with a ghoulish sidekick. Positioned stage right from Persi was a freakish skeleton dawning an unusual mask to become the creature known as “Blobflower,” created by Persi for their last music video. After an unscheduled hiatus between their first and second album, the group is now more focused than ever to keep touring and making music. This current tour allows thousands of hard rock lovers to be exposed to their music and shows have been selling-out well in advance. The crowd size and excitement is comparable to past tours with groups such as Sevendust, Lacuna Coil, Otep, and Devin Townsend Project. After this tour was confirmed the members of Stolen Babies say they are more inspired than ever to pound the pavement while touring and continue their musical experimentation. They also responded to the concept of what they could see themselves doing if they weren't playing music for a living. Stolen Babies now plan on writing new music during the spring after they finish touring, and have also been approached about performing on certain tours during the summer, but nothing has been confirmed just yet. They do assure their fans that “new things are on the horizon” and if their past is any indication, it will have a unique style with eccentric creativity.